Rinse and drain your black beans and set aside (can warm them too if desired). 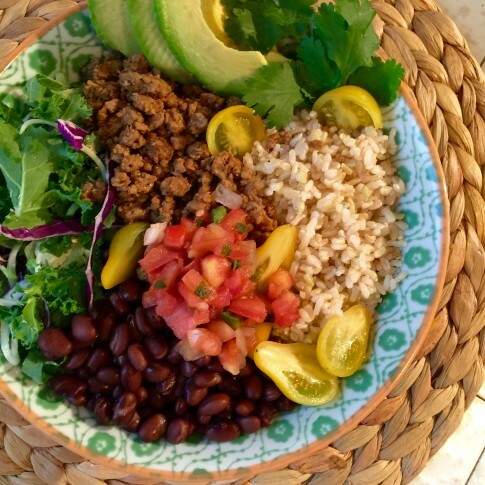 Combine black beans, tomatoes, lettuce, and rice into a large mixing bowl and mix well until thoroughly combined. Sauté the Beef Crumbles with a touch of oil until warm (we used olive oil) and then add the crumbles to the bowl. Top off with your salsa and slices of avocado!